Posted on July 29, 2015 by alittleart Tagged kakapoSiroccozealandia	CommentsNo Comments on Hello to a star kakapo! Hello to a star kakapo! Kakapo are the rarest of rare creatures. As a large plump flightless parrot nesting on the ground and pretty much defenseless, they were especially vulnerable to hungry humans, as well as to the various rats, cats and other tasty-bird-eating creatures who have arrived with humans. Careful conservation work has bought kakapo back, a little, from extinction – but there are still only 125. 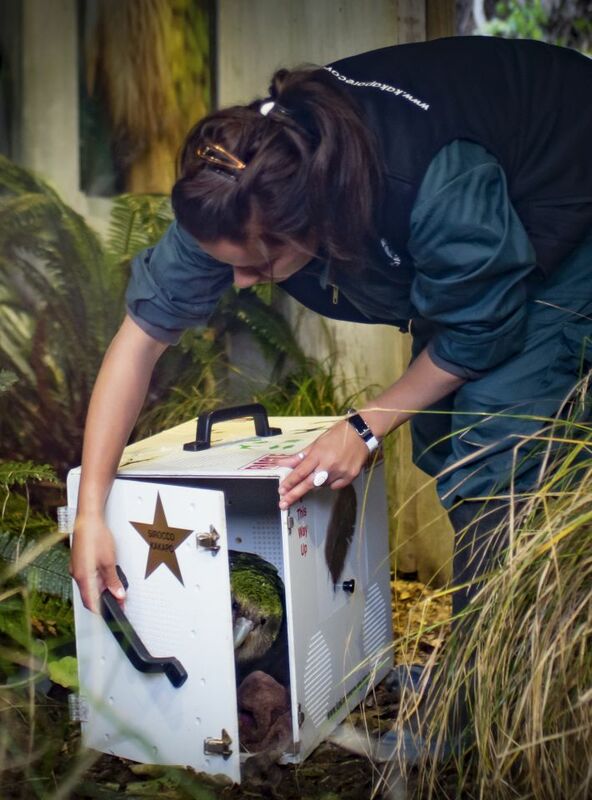 Annnyway, yesterday I got to see Sirocco the Kakapo arriving like a minor rockstar at the Zealandia sanctuary, for an ambassadorial residence in Wellington (most of the year he roams free on his own offshore island). He is a little too fixated on humans as this justly celebrated incident with Steven Fry’s cameraman showed, which makes him not so useful for the breeding programme, but does make him ideal as a birdy emissary. Released from his custom travelling box, he immediately ambled up a branch to press against the window and check out who was watching him. The last photograph is of him looking out of his custom-built enclosure, wistfully, wondering where all the people are going. 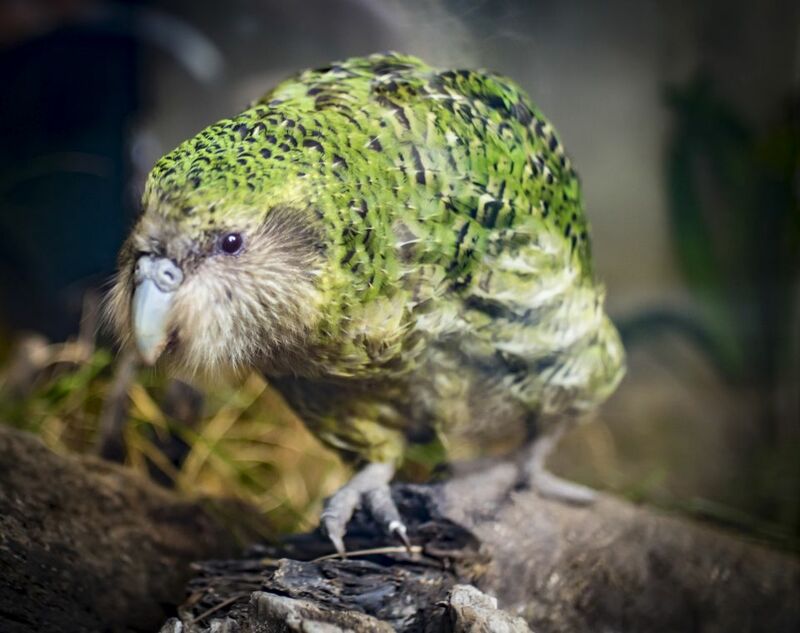 Kakapo are nocturnal, so if you do want to see one (and for most people, Sirocco is the only one you’re likely to ever see), maybe book one of Zealandia‘s night tours next time the Prince is in residence. 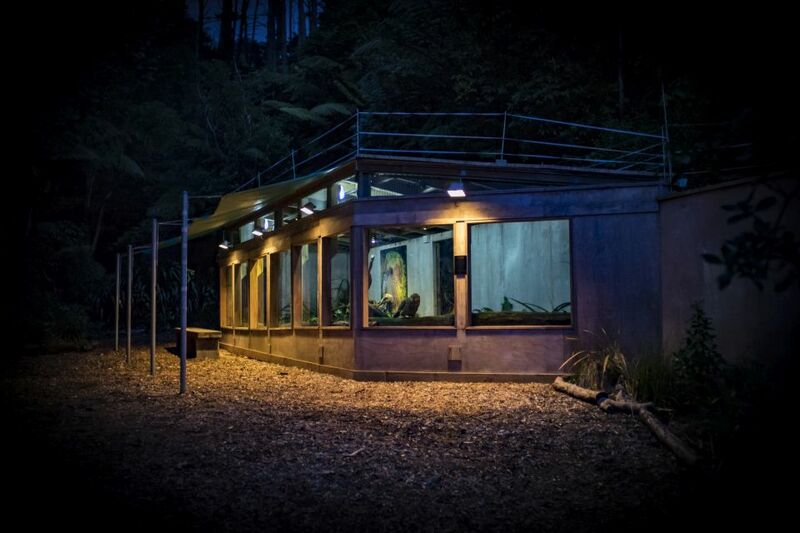 This entry was posted in night, photography and tagged kakapo, Sirocco, zealandia. Bookmark the permalink.